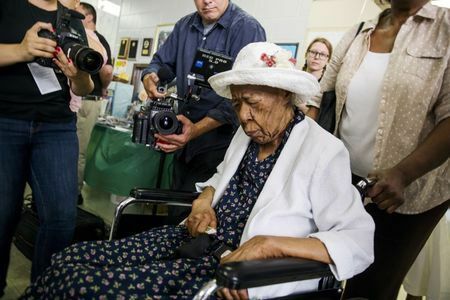 The world's oldest living person, 116-year-old Susannah Mushatt Jones, died on Thursday in New York City, a research group said. Jones' death makes Emma Morano-Martinuzzi, a 116-year-old woman in Italy, the oldest living person, according to the Gerontology Research Group. Jones, who was born in the southern U.S. state of Alabama in 1899, was the daughter of sharecroppers and granddaughter of slaves. Jones, who retired in 1965, had said that lots of sleep is the secret to her longevity and that she had never smoked or drank alcohol.